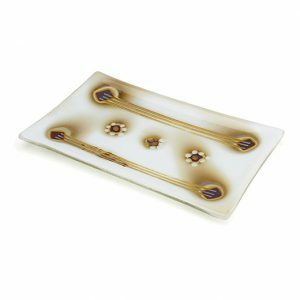 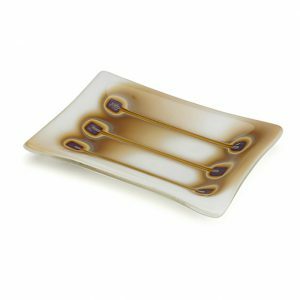 A white dish with an attractive art deco pattern caused by the reactions of silver foil with the base glass. 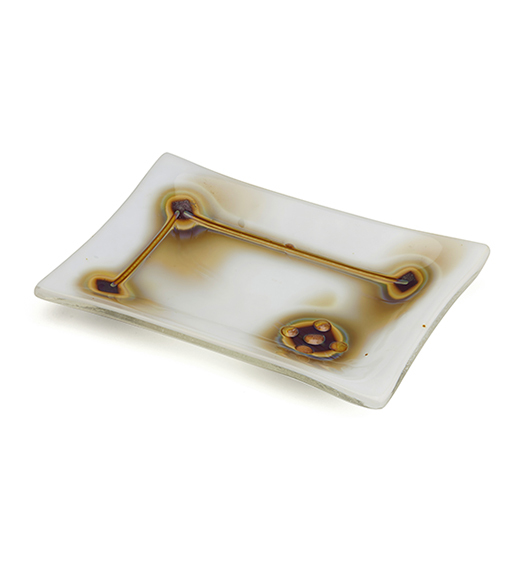 The dish measures 16cms x 11cms approximately. 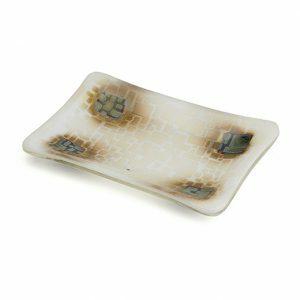 Please note that as all trinket dishes are handmade, they may vary slightly depending on their position in the kiln, amount of glass used etc.